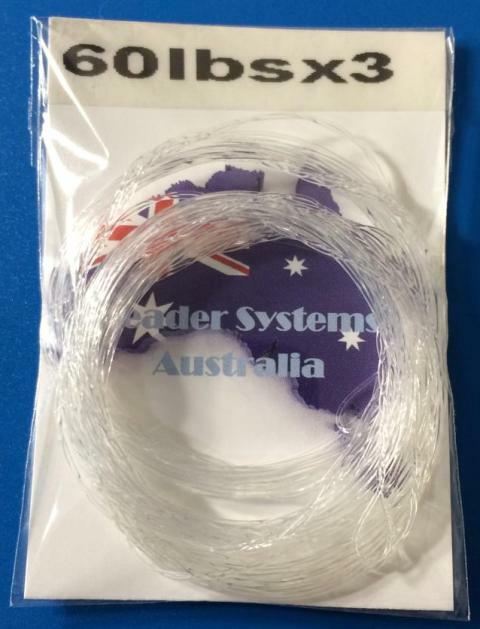 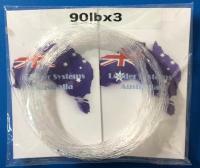 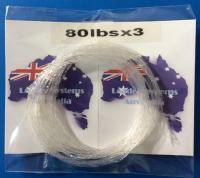 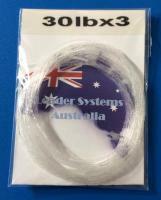 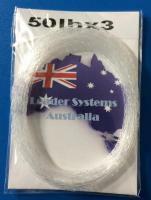 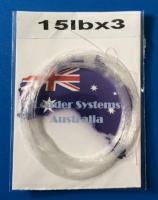 Description: 60lb - Pack of 3.Snapper Mangrove Jack Jewfish Mulloway Pearlperch Cobia Mackerel Spanish Mackerel Parrotfish Trevally Golden Trevally Livebaiting Jigging Micro Jigging Amberjack AJ Kingfish Samsomfish Monofilament wind on high performance casting leader. 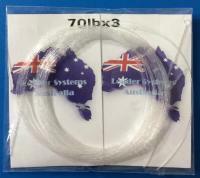 Single piece leader 100% braid to leader connection via catspaw connection , not Dacron loop connection . 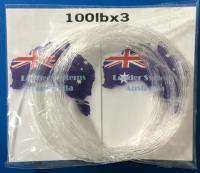 1 pack contains 3 leaders each leader is 3m long. 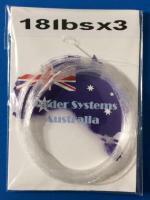 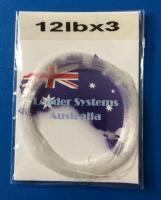 Please see Facebook/leadersystemsaustralia for instructions and Q's . 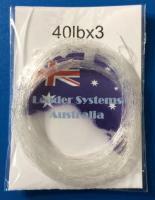 Longer leaders available on request at the same price.